Knowledge, Duncan McNaughton reminds us, is all of what one’s love becomes capable of. In their desiderata and “reach” — a word that appears more than seventy times in Irby’s catalog — his poems do not attempt to transcend, but more intimately to come to know the particulars of the localities we inhabit, “here and now,” as both interface and index of the human interior. 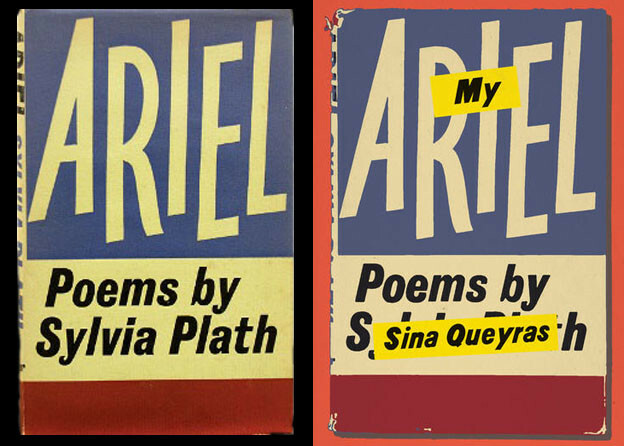 Thus, in the time since Irby’s first mimeographed book, The Roadrunner Poem, was published by Larry Goodell’s Placitas-based Duende Press in 1964, when Irby’s poems were beginning to appear in magazines such as Matter and Wild Dog, alongside his many book reviews — the majority of which appeared in Kulchur, and which are the focus of Matt Hofer’s essay included here (and the matter of its cento) — Irby has shared (another favorite term) his love, “flung out” in over twenty books of poems. Along with additional unpublished material, these publications comprise Irby’s master opus, The Intent On: Collected Poems, 1962–2006, published by North Atlantic Books in 2009. The following year, Irby received the Poetry Society of America’s Shelley Memorial Award, placing him in the company of such luminaries as Marianne Moore, Kenneth Patchen, Muriel Rukeyser, Gwendolyn Brooks, and Michael Palmer, to name only a few. If Irby appeared on the New American scene half a decade too late for Don Allen’s seminal anthology, it’s perhaps tempting to say he was half a decade too early for the Language movement. But such a dyadic assessment conforms to the pressures of pat critical classification at the expense of a more nuanced reading of the work. For while Irby’s early writing (up to the mid-1970s, say) reflects the influence of Charles Olson, Robert Duncan, Ed Dorn, and Robert Creeley (and his earliest work, some of which is reproduced here, recalls that of Robert Lowell and Wallace Stevens), the aural splendor of his writing from the late 1970s echoes the work of Louis Zukofsky, Robert Kelly, and José Lezama Lima. Note the “Etudes” section of Call Steps, for instance, which presents a “doughy” soundscape, studded with surreal curiosities (e.g., “face grave houndom into human hone” ), murky protean quatrains (e.g., “steps of the camp / mud element of trance / essence star of hippopotamus / walking the bottom of the river milk” ), and imaginal distillations, or sonic friezes, or whatever one wants to call something like this: “call snown draw cold moon sawm / comb new leaver lean / so shadows dough” (464). That we find praise of (and publishers for) Irby’s work spread across otherwise exclusive “school” lines — for example, among Black Mountaineers, like Creeley, Dorn, and Paul Blackburn; among innovators of the Deep Image, like Robert Kelly and Jerome Rothenberg; among a handful of early Language poets, like Lyn Hejinian, Ron Silliman, and Robert Grenier; among once-Beats, like Anne Waldman and Joanne Kyger; among the otherwise difficult to categorize, like Gerrit Lansing, Chuck Stein, Paul Metcalf, Thomas Meyer, Nathaniel Mackey, and Ammiel Alcalay; and among a handful of so-called “avant-garde” poets of a younger generation, like Dale Smith, Cyrus Console, Monica Peck, and Ben Lerner — attests to the extraordinary mutability of his register. With Irby’s collected works in hand, new ways his poems trace mutually constitutive relationships between morphologies of place and self are revealed, and a comprehensive look at the recursive and reflexive nature of his life in print becomes possible for the first time. It has been, up to this point, the geographical elements of Irby’s writing that have dominated much of the scholarly attention it has received, and to a certain extent this remains the case with many of the essays gathered here. For Irby’s poems are preoccupied with questions of orientation and direction, and among his chief influences and allies are geographers and other practitioners of the cultural landscape, like Carl O. Sauer, James C. Malin, Bob Callahan, Michael Brodhead, and Edgar Anderson. As the essays by Denise Low and Lyn Hejinian point out, place names litter Irby’s “site-specific” poems — the third section of Kansas–New Mexico, for example, lists the counties and townships one passes through traveling southwest across Kansas — and many of his books’ titles appropriate geographical terms: e.g., Archipelago; Call Steps: Plains, Camps, Stations, Consistories; Ridge to Ridge; In Denmark; Riding the Dog; etc. Thus with the lineal solder of conjunction, hyphen, and preposition, Irby administers a reading experience as rewarding as it is (and because it is) demanding, forcing the reader to find her own way through the musical thicket, which is an empowering allowance: “what in the path passes between the pather and the pathing, or in the reading,” Irby asks in “[Visitations],” and “who else, always another might, always the who else” (545). In Irby’s work of the late 1970s and after, the investment in a grammatical disorientation so extreme its unpredictability attains an order of immediacy, commensurate with the actual, is paradoxically accomplished by interrupting the reading experience, emphasizing the poem’s mediated-ness. This interruption also bodies forth a peculiar form of presence, sometimes achieved through ludic, “concrete” effects. What occupies the “gap of remembrance” in the poem below, for instance, when the senses are scrambled into synesthesia? Reminiscent of John Cage (cf. the preface of Irby’s Movements/Sequences: “as now the cars’ sounds out these windows …” ), this typographical riddle leaps off the page at its unwitting reader. Reimagining the poem as an interactive event (as Hejinian does), and reading (like writing) as a “formative activity,” Irby’s overhaul of readerly attention engineers a constantly renewable present in which “the time in the poem … becomes the time of the poem.” And these uroboric suspensions and reflexive cantilevers of syntax that dislocate the reader in one context — like “the driver” in “[Visitations],” who “thought he was going around and around himself in the dark” (545) — enchant her in another, with the fluvial grace of a line that compelled Ron Silliman to declaim Irby’s “ear” the finest among his contemporaries. In this way, Irby’s lyric envisions a new kind of polis founded and inhabited in the intimate distance of reading, as the opening poem of The Flower of Having Passed Through Paradise in a Dream announces: “of / Relation / & of that City / where all our meeting lies / As has been said: / the Nation can only come into being / but the City we may / found / Between us / Here & Now, as we read / these words” (159–60). “Homage” quietly invokes the lived material gathered in the volume at the end of which it appears by negatively reinforcing its content and transporting the reader to a moment previous to its production. Within the poem’s six lines we encounter three versions of Irby in the voice of one — KU undergraduate, KU professor, and future anterior poet-speaker. And just as the “I” who utters the poem and the “you” to whom it speaks stand on either side of the selfsame, unenunciated antecedent, so the phantom “I” that cleaves intention into intent on also serves as the object of the title’s truncated predicate: intent on ... what? Intent on seeking out a self “lost on off / in those steep and wandering canyons,” a self momently retrieved in and through the lifelong practice of daily writing. In its return to the familiar, “Homage” demonstrates a means to home — i.e., to return to after a long time away; to move toward with great accuracy and determination; to focus attention on. “To return / to the recognition / without remembering,” Irby writes in “[nostos • kuboå],” combining an instructive distance with the notion of a renewable, transitory, timeshare-self: “you have to become / a stranger / to have / a homecoming” (654). Here home, as a noun, is haunted by the trace of the passage that’s an essential component of its verb form, and it must first be set at a distance (from distancia, “to stand apart”), in order to be reinserted into a network of animate relations. Homecoming and homage — terms for desire’s systolic and diastolic motions in Irby’s writing — not only proffer ways of going home, but are also modes of inhabiting it: “home itself is an organ of perception” (568), Irby writes in Studies. And if poetry is, as it was for Olson, a personal form of public allegiance — a crossing-over of thresholds opposing individual to collective desire, or the company of the living to that of the dead — then we might say all of Irby’s poems are forms of homage. In its original, feudal usage, “homage” was related to the landscape’s hierarchical enclosure, and referred to the allegiance of a subject to an “artificial” lord, or landlord. But in Irby’s “Homage” we encounter an intrasubjective plurality, a form of what Hejinian calls “lyric sociality,” wherein the distance between “I” and “you” collapses into an omnipresence, an overmind. Irby’s “questionable work,” like Duncan’s, seeks the “transvaluation,” as opposed to the “overthrow” of this “matter,” lodged everywhere around us — in overheard speech, in non sequiturs and tangent associations, in fleeting physical sensations, whatever the poem brings, or is brought, to one’s awareness during its composition. The poet must learn to hear “the importance of whatever happens in the course of writing as revelation,” Duncan insists, “not from an unconscious, but from a spiritual world.” Duncan’s notion of a “spiritual world” that assails the poem at the time of its making is also instructive for an understanding of the “spiritual landscape” Irby designates as the terrain of his own poetic endeavor. For Irby and Duncan both, the “spiritual” describes an amplified presentness, “here and now,” attained through writing as a process of selection and sensitization — an enhanced sense of being in, not outside, time, of being in the world, living with other things. One task of The Intent On, then, is to pursue vivifying lines of inquiry and relation, e.g. : “did Pike read Boehme?” (501) or, “What good does it do / to talk to the dead? — those who are / the removed from human communion, Duncan said” (194). In order to “stay fresh” at the door of one’s experience, as Olson encourages in his essay “Human Universe,” to tune into those radio waves Spicer described, “where [one] is responsible to more than [oneself],” the poet must remain in the grip of questions, a mode of intensified listening. At this crossroads, we find Irby entreating: “Where do you go now?” This interrogative “yearning” compels much of his writing: “tonight I go home to Berkeley,” Irby confesses in “The Brief Connection,” “there is the question still of cause” (107). Thankfully, the question prefigures a mystery always running on beyond us, out into the margin, over onto the next line, there to reach to all the way back of “the Lore,” into the love itself, “till it is / part of the body, not its object”: “To make sure you never forget in your prosperity the misery and destitution that brought you here and those who shared it with you, the compassion that created you,” Irby writes in “[Notes],” “And when you have remembered and have restored, to disappear again” (660). Such is the rocking rhythm of Irby’s homing process, wherein “we are not at home if we are not at rest / going and coming in” (142). Irby’s actual home is Kansas, the “centrum pocket of the continent” (306) where his family settled when he was three — in Fort Scott, having moved north from Texas — and where he currently resides, in Lawrence, home to the University of Kansas, where he received a History BA in 1958, and where he returned to teach in 1985, first as a lecturer, and, as of 2012, a full professor (in spite of the fact he holds no PhD, nor any degree at all in his field of appointment). As the chronology included in this feature illustrates, in the two decades between 1958 and 1977, when he returned to Fort Scott to assist his mother in selling the family home, Irby travelled extensively throughout the North American and European continents, living for extended periods of time in Albuquerque, Boston, the Bay Area, and Copenhagen. But “no matter how far his body wanders,” Dorn notes in his introduction for To Max Douglas, “he never wanders. […] Irby has stayed with the materia” (184). Kansas — “forever at the heart of things” (207), forever in “the torrent of the boundary” (525) — remains always on the way to the other coast, always in the in-between, always “the who else.” This Janus condition — often represented in Irby’s poetry by the Chinese character “hsin 心 the heart / that is the mind, as the Zohar / also knows them one” (207) — becomes the model for a doubled cleaving that the work effects wherever its gaze alights. Take the closing lines of “Notes II,” for example, which recall the Korean War of Irby’s adolescence — “I watched that push toward Pusan / in maps in the Kansas City Times / hoping we’d be shoved shitfaced / into the sea.” Here, Irby sets the gauge of a lifelong pursuit to lovingly (i.e., not militantly) take a landscape, in order to ever have a home to return to: “war I knew came home along the corridors of high school,” he writes, “landscape I would have to take / to ever come home // all was at war, but I was not a warrior” (276–77). By the time the second edition of To Max Douglas was published in 1974, Irby had roamed to the “edge of the continent” and back again — all the way back to Scandinavia — and had, in the eyes of those peers he most respected, sufficiently taken his place. Indeed, so much so that Robert Duncan, for example, referred to Kansas as “Irbyland,” and Ed Dorn, in a 1971 poem entitled, “an œcological prophecy,” which plays on a John Wayne line from Red River (i.e. “gesturing / toward Texas says: // Someday thatll all be Beef!”), writes: “… Gestures / twrd Kansas / Someday thatll all be Kenneth Irby.” A decade later, when Dorn delivered the Charles Olson Memorial Lectures at SUNY Buffalo, he thanked “longtime associate and geographer, Ken Irby,” among a short list of persons, all of whom, save Irby, were in attendance. It was Charles Olson, in Call Me Ishmael, who took “SPACE” to be the “first fact” confronting man in America, announcing that, “the fulcrum of America is the plains, half sea half land, […]. Some men ride on such space, others have to fasten themselves like a tent stake to survive.” In her essay in this feature, Denise Low argues that Irby has both dug in and mounted, that he wanders from his staked plains on a very long lead, treading a littoral circumference. For example, while the poems of Irby’s 1977 collection, Catalpa, are arranged according to their place of composition — namely, Berkeley or Boston — all motions “in the whirlpool of the continent” swirl back to Kansas, and along the heart-shaped arc of Catalpa Irby begins to turn “back / where he had begun” (like Ledyard, Escalante, Cabeza de Vaca, and other journeyers who haunt the book), to complete another of the “great / circles” that The Intent On cartographically inscribes (123). The fact that Kansas receives no section title in Catalpa is a strategic omission, for it occupies an absent-present “centrum” in the book — just as it does on the continent, where it forms the shallow basin that once cradled the late Cretaceous Western Interior Ocean, the decayed benthic fauna of which enriched its “breadbasket” fifteen feet of loam. Whereas Berkeley and Boston are the endpoints of two of its transcontinental spokes, Kansas is the “fulcrum” of “the Great Wheel of the Plains / [that] turns under Fort Scott” (266), and it’s the mandrel of Catalpa in a literal sense, as well. Home to John Moritz’s Tansy Press, the town is the site of the book’s publication, and as such its name appears on the title page, anchoring an overarching, ventricular sense of place. In all, eight of Irby’s books have been published by Lawrence-based presses, six of those by Tansy, starting with the first edition of To Max Douglas, in 1971. Meanwhile, the covers of both To Max Douglas and Catalpa feature Lawrence-based artist Lee Chapman’s sunflower drawing, displayed on the homepage of this feature, which Irby has adopted as a kind of signature crest, including it on the title page of nearly every book since. Chapman is also the founder and editor of First Intensity, which, as a press, published Irby’s Studies in 1999, and as a (now defunct) journal of the same name, featured more of Irby’s writing than any other magazine to date. A number of the essays gathered in this feature locate a shift in the attentions of Irby’s work that roughly coincides with his moving back to Fort Scott in 1977. This makes sense, in part, because there have been few critical assessments of Irby’s career since the late 1970s — but in those that do exist, this transition has been inadequately considered. 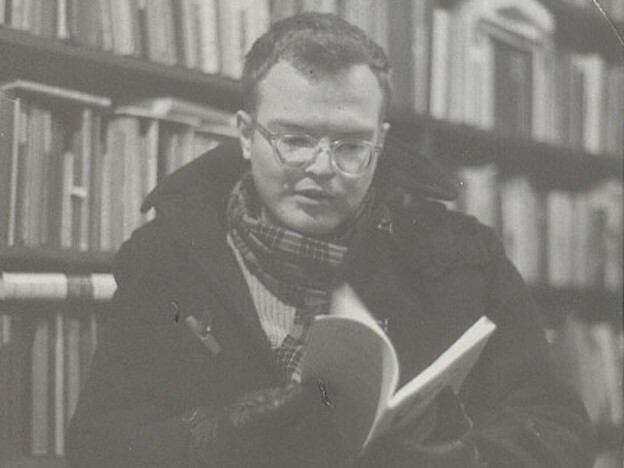 “Some people have accused me of writing about a place in a poem only when I’m not there,” Irby told an interviewer in the mid-1980s, “which is something we’ve all experienced.” Posing as an analytical deduction, this accusation repeats a given of the work without bothering to engage it, and operates under an impoverished concept of place that overlooks important features of Irby’s “spiritual landscape.” It ignores the fact that longing, daydreaming, what-have-you, is as much a fact of its place of origin as any other felt quality that place possesses, and, therefore constitutes a specific and unique relation, that reveals as much about the context it reaches from (“here and now”), as the one it reaches to. This flexion is apparent in the boomeranging dedication of Studies, which hurls us wide from the ledge of Mount Oread, “After, from, and back to / the California friends // and all the friends” (564). As Joe Harrington’s essay keenly observes: “The personal and historical, pastoral and epic, are never very far apart[. ]” Indeed, the focus on household minutiae in Studies, for example, is not a departure but an expansion of Irby’s “pastoral” condition. That our local histories, full of affinities, are the grist of our big History, welds pastoral to epic and forms one of the central convictions of The Intent On — a conviction earlier articulated by Kansas historian James C. Malin: “Every historical event must happen,” Malin argues, “not anywhere, but in some particular place, at some point in space, in some locality or minimal unit of space in which its unique causal factors operate. Thus, no matter how closely welded the much publicized one world may become, people will still live and have their being in local space.” S0, while it’s true the word “Kansas” disappears from Irby’s catalog in early 1977 — its final mention in a poem written on April 8, included in the “Heredom” section of Orexis, just three months after Irby returned to Fort Scott — this absence is only nominal, for the energy of the place has otherwise dissolved into the fiber of Irby’s pastoral attention, characterized by its “feeling of great closeness with the vegetation lived among — an ecological calm … [that] enacts a state of consciousness or awareness, eternally and recurringly common to human beings, every day, every life” (94). That Irby’s unique practice of the poem appeals to a wide variety of readers and writers is demonstrated by the diverse group of contributors to this feature, all of whom agree, however, that his work deserves far more attention than it has received: from Dale Smith, whose essay treats Irby’s poetics of “homecoming,” and drawing on Kenneth Burke’s notion of a “qualitative progression of formal appeal,” explores the “problem of perspective” in Ridge to Ridge; to Joe Harrington, who compares Irby’s work with that of Ronald Johnson, another Kansas poet of his generation, locating a decisive shift in the scope of Irby’s “pastoral” gaze; to Andrew Schelling, who contemplates the function of that gaze in Catalpa, as well as in Irby’s abundant and endearing correspondence; to Lyn Hejinian, who identifies an “intimacy of address” and a “site-specific” orientation as two of the chief signatures running throughout Irby’s profoundly magnanimous oeuvre; to Pierre Joris, who tracks the nomadic impulses and “ghostings” of Old World literary traditions throughout Irby’s career, envisioning a transatlantic communion in the music of Delius and Duke Ellington “upwelling” between his musical lines; to Denise Low, who, drawing on her knowledge of Native American symbologies, catalogs the graphical elements in The Intent On, and extends her investigation into Irby’s notebooks and personalized flyleaf inscriptions; to Matt Hofer, who surveys Irby’s abundant book reviews and “evaluative criticism,” which, over the course of his career, have provided Irby a transformative space, Hofer argues, in which he’s sculpted and refined his own poetic sensibility, and sworn his aesthetic allegiances; to Robert Grenier, whose dynamic, polymorphous prose-poem/memoir celebrates, as it interrogates, the notion of friendship at the pith of Irby’s life and writing; to Aldon Nielsen, who focuses on Irby’s career (alongside David Bromige’s) at the moment of To Max Douglas, in the fissure that divides the waning organic lyricism of New American poetics, from the emergent, politically engineered assays of the Language poets; to Robert Bertholf, who provides a comprehensive overview of Irby’s career and the evolution of his poetics of ensoulment; and, finally, to Ben Friedlander, who identifies three central “principles” — accretion, crossing, and experience — through which Irby’s writing seeks to fuse artistic production with everyday activity, and who proposes a shift in Irby’s catalog from the exploitation of “narrative and thematic” attributes of the poem, to the exploration of “formalist” techniques for rendering the intrapersonal “complexities” exhibited in his more recent work. In addition to these insightful and most welcome contributions to the slowly growing body of critical scholarship on Irby’s poetics, this feature also contains a number of other pieces that help to illuminate the larger impact of his career. Like the pieces mentioned above, a number of these additional items appear here for the first time. A group of Irby’s former students — Jeff Bergfalk, Cyrus Console, Peter Longofono, Monica Peck, and myself — have contributed reflections on him as a teacher, a mentor, and a friend. The selection of Irby’s correspondence with Ed Dorn — modest as it is — nonetheless marks the first time a selection of Irby’s letters have been made available. Likewise, of the nineteen uncollected poems included in this feature, fourteen are first published here, and those remaining are reprinted for the first time since they initially appeared in various literary journals with relatively limited distribution in the 1960s and early 1970s. Finally, the detailed chronology of Irby’s life to this point is the first of its kind, and serves as a useful companion for The Intent On, while almost all of the photographs sprinkled throughout this feature (most of which come from Irby’s private collection), also appear here exclusively. He is probably the least anthologized significant poet around, for one thing. Kelly — up to a point, that is. existing pages of his work. 1. Kenneth Irby, The Intent On: Collected Poems, 1962–2006 (Berkeley: North Atlantic, 2009). All references to this text are in parenthetical citation within the article text. 2. Kenneth Irby, “Visitations — Homage to Emerson,” Golden Handcuffs Review 1, no. 12 (2009–2010): 147–49. 3. George Quasha, “Brief, Enigmatized Reflections on Irby After Circumambulating CATALPA in a Long, Recorded, Suppressed Conversation,” Credences 7 (1979): 118–20. 4. Robert Creeley, “A Note for Ken Irby,” Vort 3 (1973): 77–78, and later, in The Collected Prose of Robert Creeley (Berkeley: University of California Press, 1989), 274–75. 5. Robert Duncan, Fictive Certainties: Essays by Robert Duncan (New York: New Directions, 1985), 226. 7. Charles Olson, The Collected Prose of Charles Olson, ed. Donald Allen and Benjamin Friedlander (Berkeley: University of California Press, 1997), 162. 8. Edward Dorn, “an oecological prophecy,” Io 16, “Earth Geography Booklet 4: Anima Mundi” (1972–1973). 9. See Edward Dorn, “The Olson Memorial Lectures,” ed. Lindsey Freer, Lost and Found Series III (2012). 10. Olson, The Collected Prose, 17. 11. James C. Malin, “On the Nature of Local History,” Wisconsin Magazine of History 40, no. 4 (1957), 227–30. 12. Rasula, Credences, 7, 54.